Estrada Carrillo purchased his winning Quick Pick ticket at Wauchula Foods, located at 501 North Florida Avenue in Wauchula. The retailer will receive a bonus commission of $1,000 for selling the jackpot-winning ticket. The next LUCKY MONEY drawing will be held tonight, July 20, 2018, at 11:15 p.m. ET, with a $500,000 jackpot. The LUCKY MONEY drawings are broadcast on 17 carrier stations throughout the state. 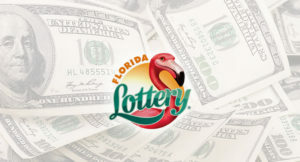 Winning numbers are available on the Lottery website, at retailers statewide and by phone at (850) 921-PLAY.